Who said advent calendars are just for the kids? 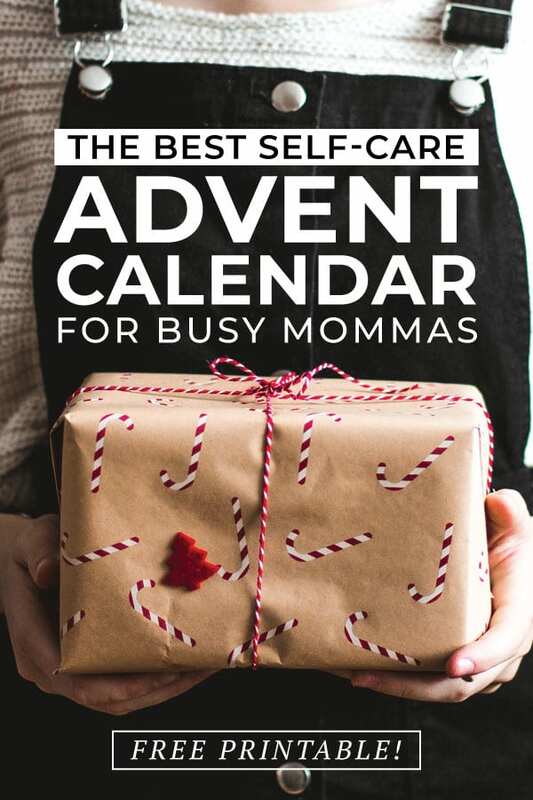 Download this free printable and use these self-care advent calendar ideas for moms to make yourself a priority, especially in this busy season. When’s the last time you did something for yourself. I’m not saying like you took two minutes to eat your kids leftover peanut butter and jelly….I mean like really truly did something just for you? Took a long walk through Target by yourself sipping Starbucks? Went out for dessert with your girlfriends? Read a book longer than five minutes? You’re tired and overwhelmed and feeling a little bit lost? I get it! I’ve been there. One year ago I wrote this post about how I truly had lost myself in some of my darkest days struggling with postpartum depression. I have been seeking help and been on medication for over a year now and I still struggle. But, I’m here to tell you, you can do it. You are so important and amazing! This season when your kids open their advent calendar, I challenge you to do something for yourself too. I’ve put together this self-care calendar to help make yourself a priority this month. Download your self-care advent calendar, print off a copy, and do one a day. You can work your way through starting at the top corner or just pick and choose based on what you have going that day and what fits into your schedule. December can be stressful as you try to pack in as many fun holiday traditions as possible. Missed naps, late bedtimes, and pushing kids past their limits can be tough. Then add on top of it the emotional stress you might be carrying about seeing family or friends that you haven’t seen in a while. It’s just a lot. Give yourself grace. YOU ARE IMPORTANT! Do what you need to do. Make yourself and your family a priority. If you need to say no to an invitation to go ice skating or sipping hot chocolate while watching another tree lighting, do it. Choose to make yourself a priority and enjoy this season.